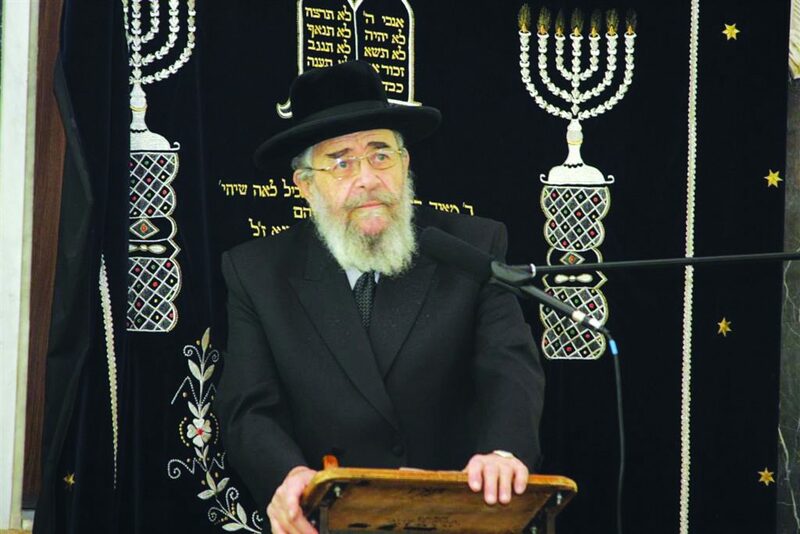 There is no doubt that all of Torah Jewry was saddened and grief-stricken by the passing of the illustrious Rav of Bnei Brak, who for 30 years preserved and nurtured his city so that it came to be characterized by the Torah and Chassidus that has thrived within it. He was also known as a symbol of kashrus, setting the standards and doing all that was humanly possible to ensure that kosher food was available for the public. To our dismay, Harav Moshe Yehudah Leib Landau, zt”l, returned his soul to its Maker this past Motzoei Shabbos. With his passing, our people have lost a giant of the spirit who made sure that the Judaism of the previous generations would continue unchanged in a changing world. He stood fearlessly, facing daunting challenges in order to refine and maintain our standards in kashrus, and all others learned from his example. He would not overlook any detail, he examined everything thoroughly to make sure that it conforms with our accepted halachah, and only then would he certify a product as fit for consumption by the Jewish people. Our wound is fresh, and we have yet to realize what a great loss we have absorbed, what an enormous void is left by his passing. No doubt, his dedication to kashrus will be remembered and cherished for many generations hence. Rav Landau was the model of a Rav who carried on his shoulders the awesome responsibility of guaranteeing that Jewish people eat food that is definitely kosher, leaving no chance for slips or accidents. With Rav Landau at the helm, no one dared cross his word, neither about kashrus nor about any halachic matter in the city he led. As time will pass, many stories will be told describing the Rav’s exalted personality and his yiras Shamayim. He was a reflection of the great rabbinical leaders of earlier generations. They will tell of his inspiring davening that revealed his powerful connection with the Creator. Rav Landau was an outstanding talmid chacham, dedicated to the uncompromising observance of halachah and totally devoted to the high standards of Chassidus Chabad to which his family had been attached for many generations. At the same time, he was a gentle soul, and he looked upon every Jew with a favorable eye. He generously gave of himself to promote Torah and Yiddishkeit to all. But above all, he will be remembered for his most outstanding achievement — bringing kashrus work to new heights and unsurpassed standards. Rav Landau served the Jews of Bnei Brak for three decades, succeeding his father, Harav Yaakov Landau, zt”l, who served in that position almost since the city’s inception. Under their capable leadership, Bnei Brak became the model of a city that runs according to Torah standards in every aspect of life. He stood at the forefront, forging the city’s character until it became a symbol of light to the entire Jewish nation. Now that he is gone, we pray that his accomplishments and dreams will continue to be realized, for the sake of all world Jewry.